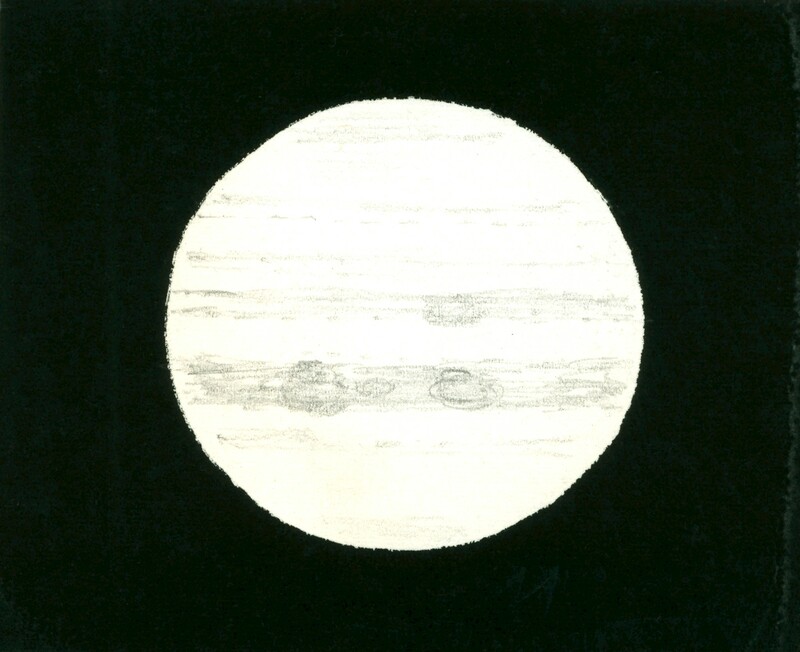 Jupiter on 1959 May 9/10 at 00:10 local time (05:10 UT) [possibly 04:10 UT –GG.] C.M. (1) 194º, C.M. (2) 48º. 6½" refractor at 222x. Seeing 6 (good). Transparency 3. North is down.